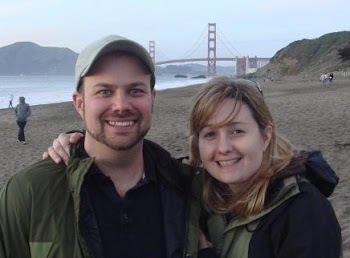 With a few rainy and cool days, we've been catapulted into fall. And so it's finally time to bid farewell to summer and summertime flavors like watermelon, strawberry and sweet corn. I saw this recipe for strawberry honey mini pies on Giada's television show and had to try it before the last summer strawberry was gone. 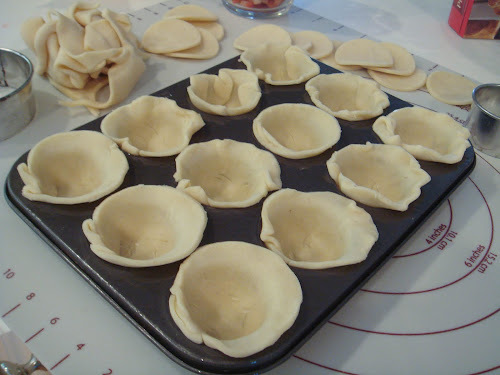 The recipe uses a mini muffin pan as a pie pan. I also have a small cake pan that I used as well thinking that I would have enough leftover crust. Because I have limited time as a new mom, I cheated and used Pillsbury refrigerated pie crust. It's a great product that you roll out and use as you like. 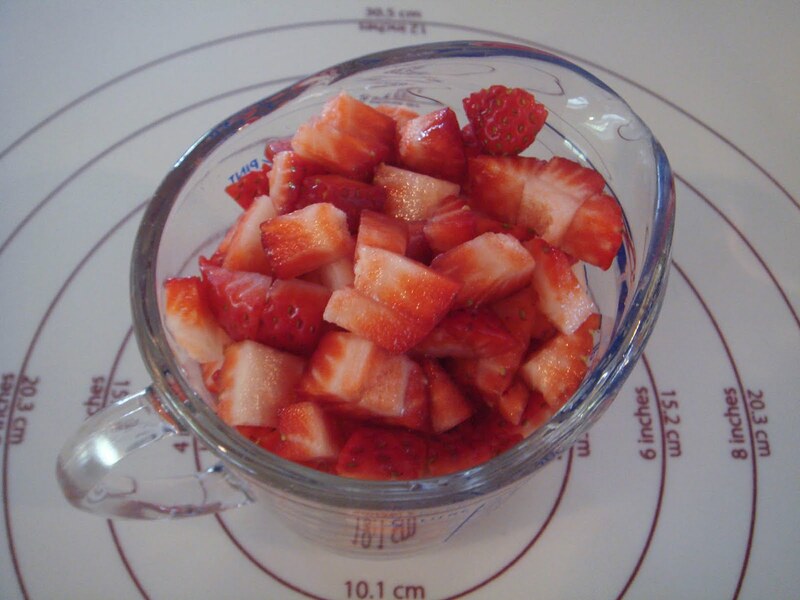 I began by cutting the berries into small pieces and adding honey and orange zest. Don't be generous with the orange zest as I was because it can be a tad bitter and overwhelm the flavor of the berries. 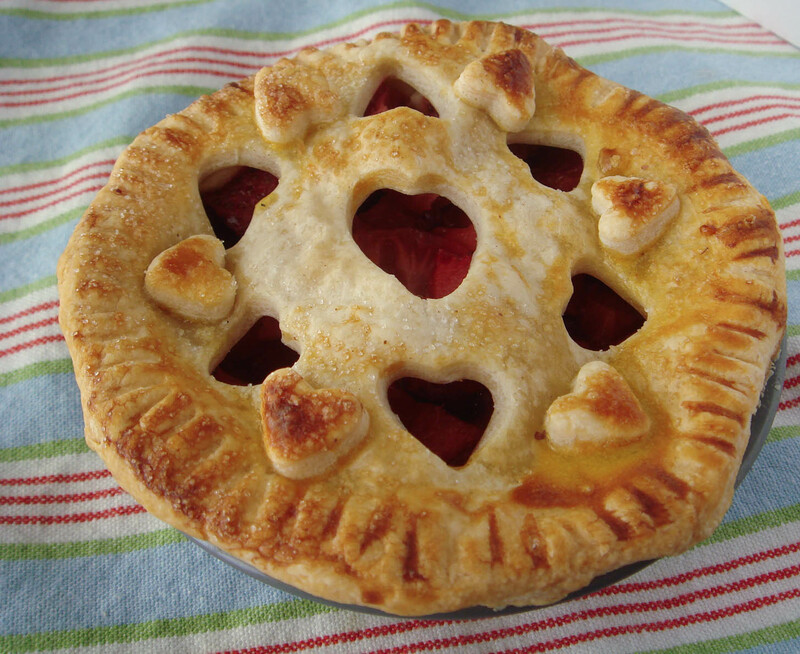 If you prefer sweeter pies, I'd add a bit of sugar to this. 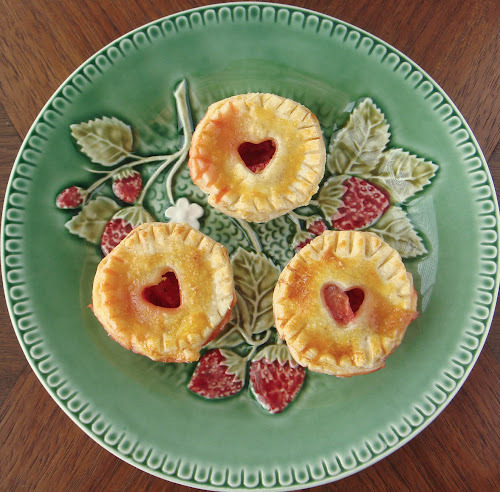 It was a bit tart to me. 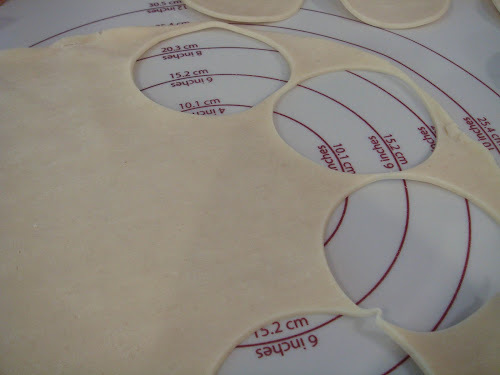 Using round cookie cutters, i cut out circles for tops and bottoms from the pie dough. After spraying the pan with Pam, I tucked the bottom into the mini muffin pans...and you can see it took a bit of practice as some look better than others! I, then, filled the cups with the berry mixture. 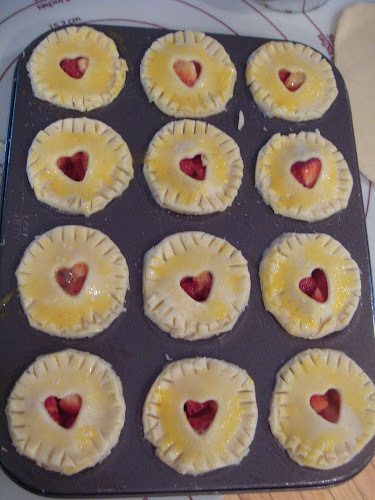 Using a small cookie cutter, I cut hearts into the top crust circles. I places the top crust and used a fork to seal the edges. It wasn't pretty so i trimmed the edges with a knife. I brushed the crust with a beaten egg to give it color while baking. 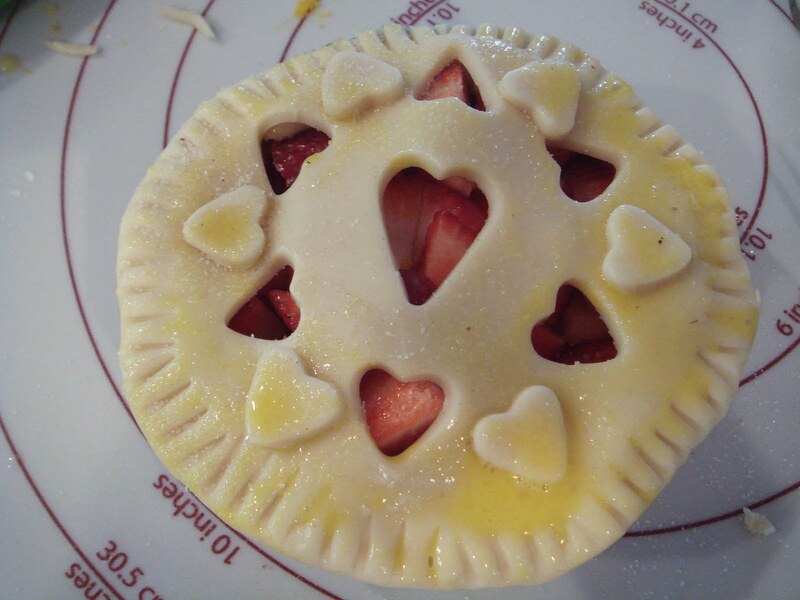 I also sprinkled lemon rosebud sugar on top. These aren't too sweet so I highly recommend the sugar on top. With the leftover crust and berries, I made a small pie in my small cake pan as well. Into the oven they went...and be careful not to overbake as the juices from the filling will bubbles and overflow too much. I confess that I slightly overbaked the minis and too much juice came out. 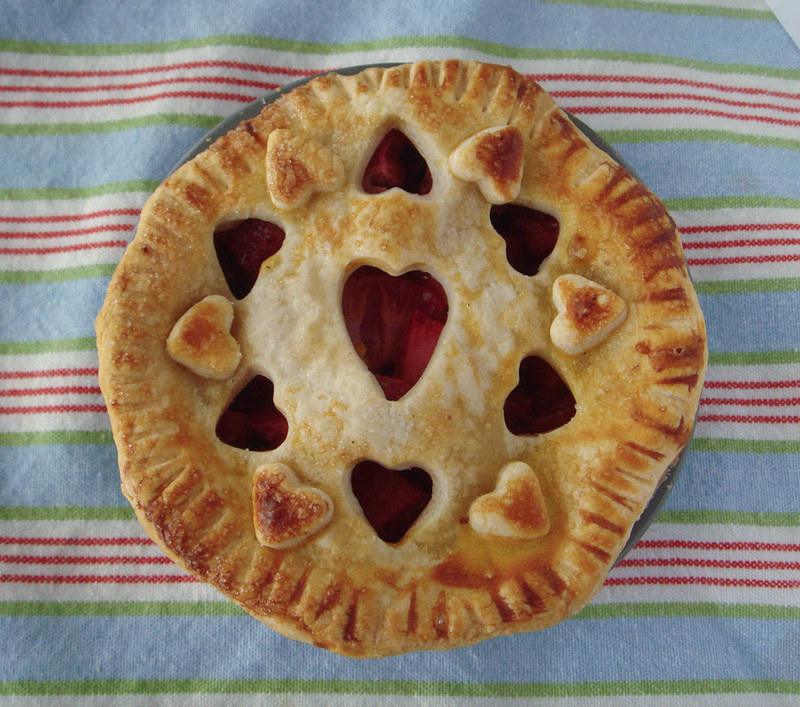 The small pie was perfect though- flavorful, juicy and moist. After cooling slightly, the pies popped right out! And they were lovely! 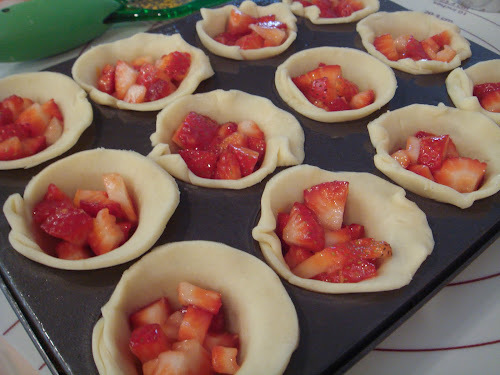 I do think they tasted better the next day because the orange, strawberry and honey melded overnight. Initially, the orange flavor was overpowering. I'd love to try some other fruit variations in the future. The small two bite size could be perfect for other flavors as well! Thanksgiving Planning and Favorite Recipes!